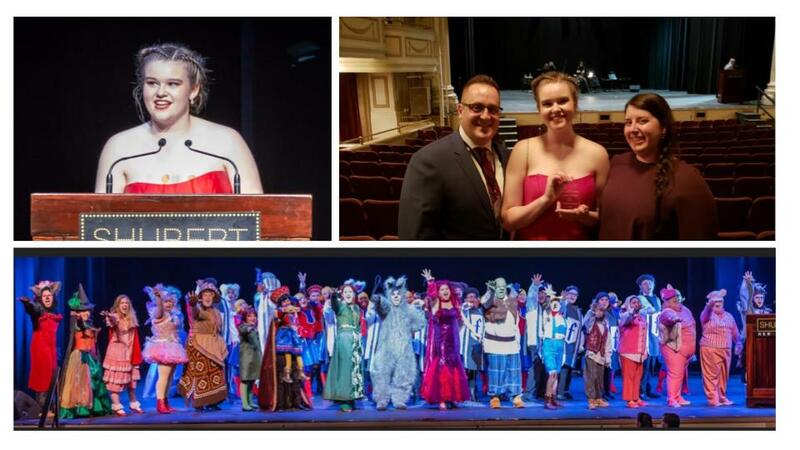 ​JUNE 2018 - The WWHS Players had a very successful evening at the first annual Sondheim Awards! The cast of Shrek performed "I'm A Believer" to great ovation from the crowd! Madison LaPlante received the award for Best Supporting Actress​ for her portrayal of Dragon. Congratulations to Maddie and the entire cast and crew of Shrek ​for such a successful season! MAY 2018 - The WWHS Players received three Sondheim Award nominations for their January production of ​Shrek! This is a newly created regional program that recognizes excellence in high school musical theater in Rhode Island and Connecticut and is affiliated with the national Jimmy Awards. As a best musical nominee, the students will perform a number from the show at the awards gala in June! MAY 2017 - West Warwick High School Players received SEVEN Connecticut High School Musical Theater nominations for their January 2017 production of Catch Me If You Can including OVERALL BEST PRODUCTION! Congratulations to everyone who made this performance such a success! Outstanding Leading Actor - Nicolas Godfray as Frank Abagnale Jr. Outstanding Supporting Actor - Shawn Whelpley as Frank Abagnale Sr. Outstanding Production of the Year! APRIL 2017 - WWHS Players alum, TAYLOR SANTORO '14, stars as The Cat in the Hat in Rhode Island College's production of Seussical the Musical. The Theater Mirror: New England's Theater Guide raves about Taylor's performance! Leading this talented cast is Taylor Santoro as The Cat in the Hat. He commands the stage with his dynamic portrayal as this mischievous character. His many different accents are hilarious and his interactions with other cast members is astounding. His voice is powerful whether he is singing directly to the audience or the other characters." Congratulations, Taylor! We are so proud of you! JANUARY 2017: Check out this feature in the Kent County Times! NOVEMBER 2016: This just in! After receiving our score sheets from the Connecticut High School Music Awards, we were excited and pleased to find out that in addition to the 2 final nominations listed below, we received FOURTEEN first round nominations for our production of The Addams Family! ​Congratulations to everyone who worked to make this production such a success! 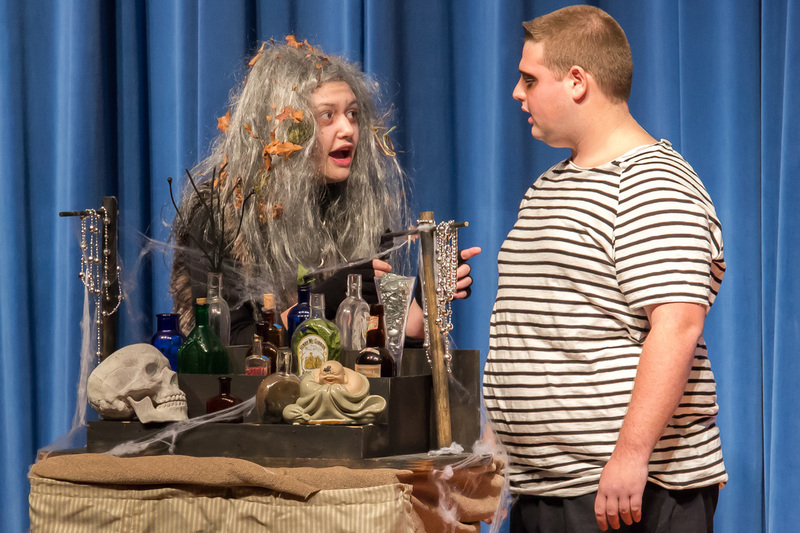 MAY 2016 - WWHS Players earn two Connecticut High School Musical Theater Award nominations for their 2016 production of THE ADDAMS FAMILY. Congratulations to our two graduating seniors on being recognized for their excellent character work! 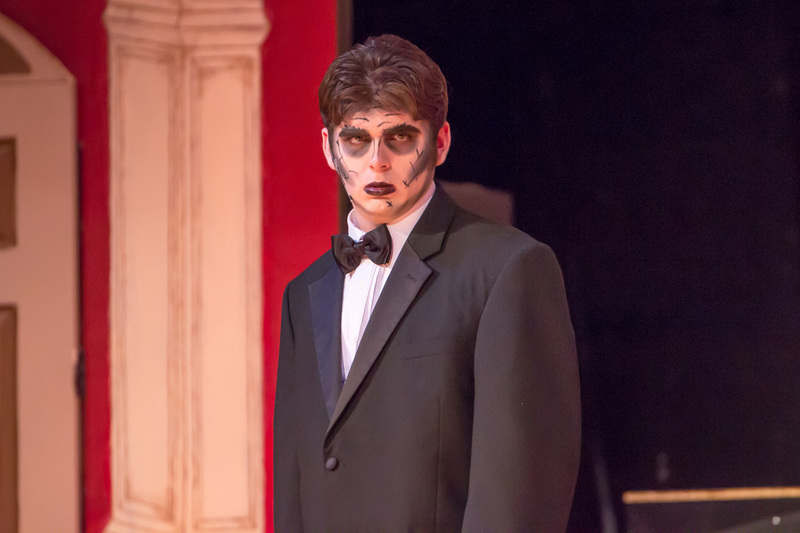 JANUARY 2016 - Rave Reviews for the WWHS Players' production of The Addams Family! MAY 2015 - WWHS Players earn two Connecticut High School Musical Theater Award nominations for their 2015 production of BIG FISH. This was West Warwick High Schools' first time participating in the CHSMTA. They are the first Rhode Island school to participate in this regional competition.